Our own piece of paradise here on earth, DuckCreek in the spring. My husband and I love the shooting sports. Hunting without dogs for many years came to an end when a friend brought along his dogs on a pheasant/quail hunt several years ago. The dynamics of the hunt changed! What a joy to hunt behind a fearless partner! Josie on an early morning duck hunt. Our first Labrador Retriever was Chocolate. She actually came from a line of Pointing Labs. Ahhh… I see some of you are raising your eyebrows. If you have never hunted behind a Pointing Lab, don’t be so quick to judge! It is an amazing thing to see! 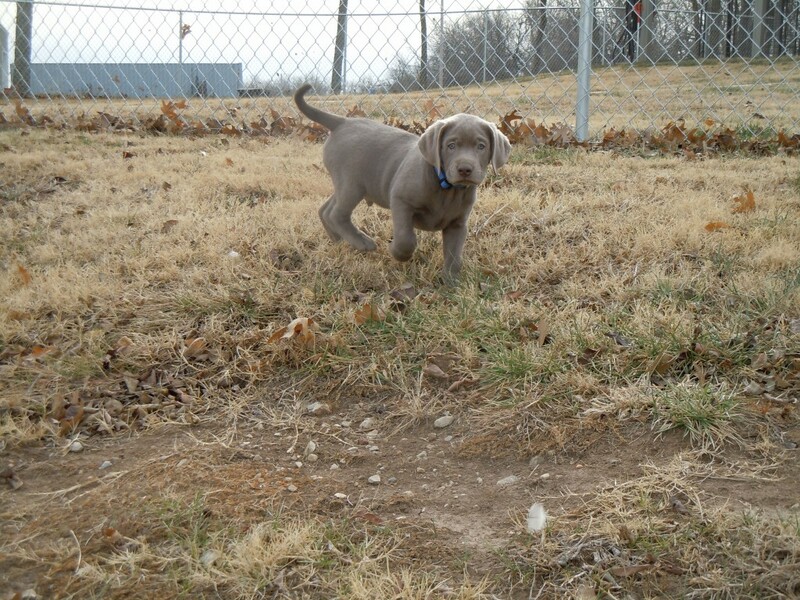 Being a bit of a rebel (obviously), I stumbled upon and fell in love with the “Silver” Lab. These Labradors’ coats are the result of a dilute gene found in Labrador Retrievers. Although the AKC acknowledges dilute coated Labradors as purebred, they currently only allow them to be registered under “breed standard” colors of Black, Chocolate, and Yellow. That said, dilute coated Labrador Retrievers are registered as: black (charcoal or sometimes referred to as smoky black ), chocolate (silver), yellow (champagne). You will also hear of Fox Reds and White which are registered as yellow. All are beautiful dogs. All are as purebred as the standard blacks, yellows and chocolates. They are just labs with “a coat of a different color”. 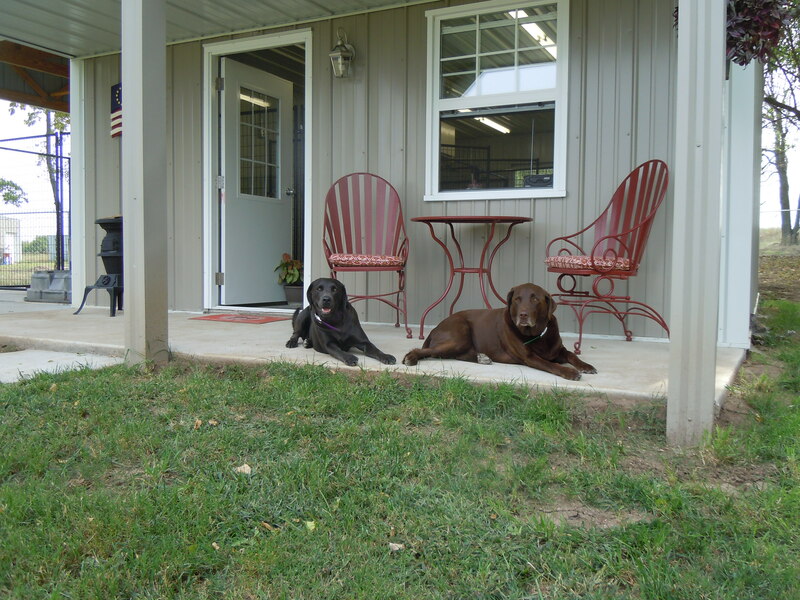 Tula & Josie on porch of DuckCreek Kennel. Our first Dilute Lab was a charcoal and oh is she a dandy! Her drive is amazing. It’s a full speed retrieve into the water with her. She’d probably make a good dock dog! With the acquisition of Tula, our adventure of raising these beautiful Labradors was born. People have always bred dogs for the traits they wanted and admired. I believe color is no different. 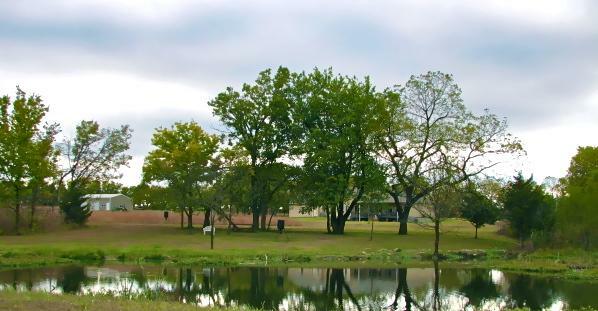 DuckCreek was established in 2010. We have had our speed bumps but are progressing nicely. 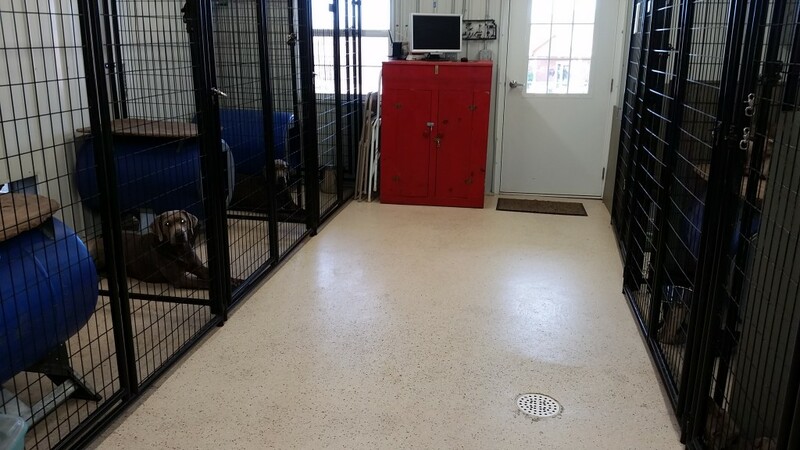 Our climate controlled kennel is 18 x 24. It houses seven 5 x 5 kennels with Gun Dog doors that go to outdoor 5 x 10 covered runs. The Kennel and runs are are surrounded by a large fenced area for the dogs to safely “free roam” without supervision. The only time our dogs are confined to the runs are when the females are in heat, otherwise, they have access to the yards or the inside of the kennels whenever they choose. We are not a large breeding facility. Rather, quality…not quantity is our goal. 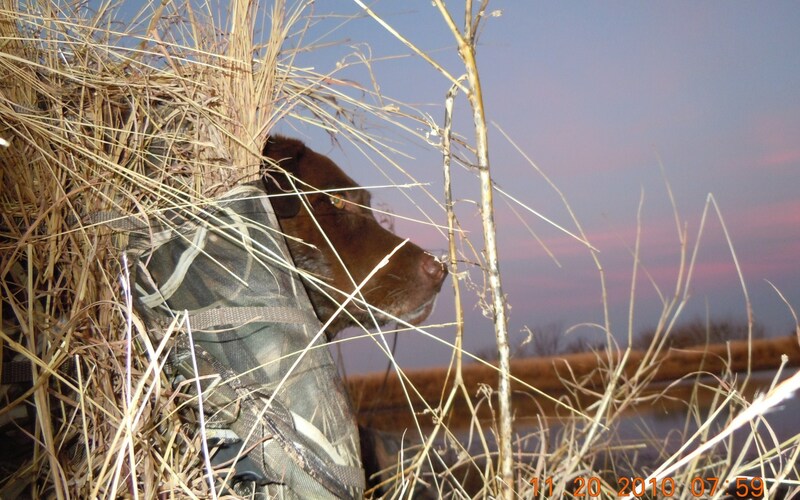 Our dogs are well socialized and possess a set of good hunting skills and house manners. They are worked and trained by us on over a quarter section of immediately accessed land that boasts of several ponds in addition to open fields and wooded areas. Come visit us sometime! We would love to show you around and share our love for these wonderful canine companions that are so much a part of us here at DuckCreek. Better yet, let us provide you a new puppy to share the couch, fields, and blinds! 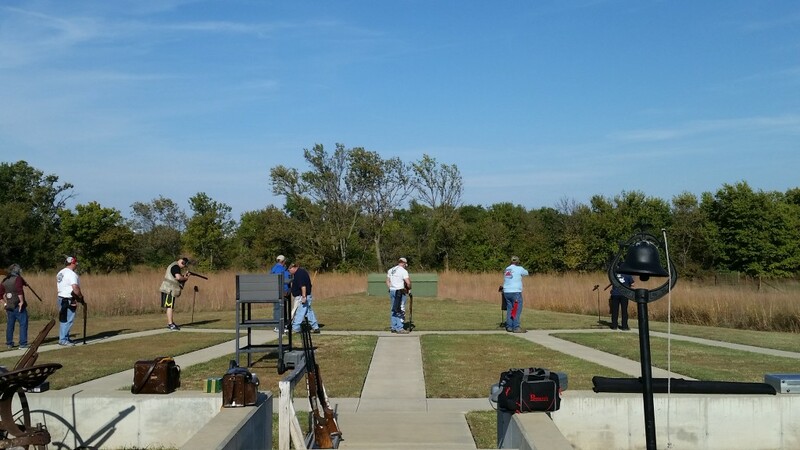 While you’re browsing our site, be sure to check out the “Trapshooting at DuckCreek” page! Our trap field is one of the nicest ones around. Come spend some time shooting with us! We offer several events throughout the year and the field is available for private get togethers or benefit events.